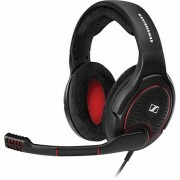 The Sennheiser G4ME ONE Gaming Headset is the preferred headset for professional gamers throughout the world. German-engineered speaker technology and a top-notch noise-cancelling microphone deliver outstanding hi-fi performance that let you focus on the game, not your headset. Sennheiser G4ME ONE is the crème de la crème headset for home gaming. It is arguably the most comfortable high-end gaming headset on the market and it features an extremely accurate and natural sound experience. Feel the rush, the beats, the tension and the awesome sound. Not your headset. 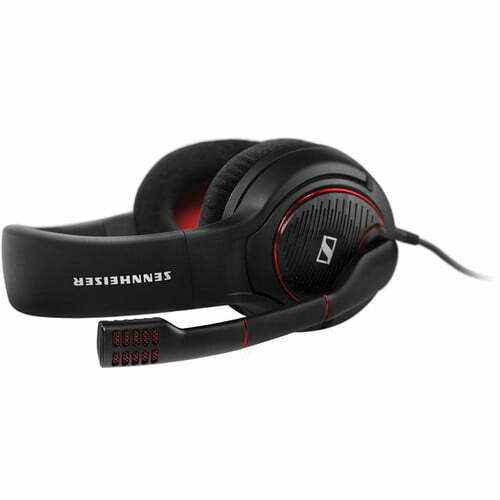 The Sennheiser G4ME ONE gaming headset features an extremely accurate and natural sound experience. The open design ensures that air can be led through to your ears, keeping your head light and cool for hours of non-stop gaming. Whether you play for 30 minutes or all night long, the Sennheiser G4ME ONE ensures that you do not break a sweat. The headset features XXL plush velvet ear pads and a cushioned headband. These features ensure maximum comfort – even during your longest sessions. The two transducers in the Sennheiser G4ME ONE have been developed at our labs in Germany. They are optimized to provide an extremely accurate reproduction of the gaming audio, no matter what type of game you play. Every single unit is mechanically and acoustically tested. 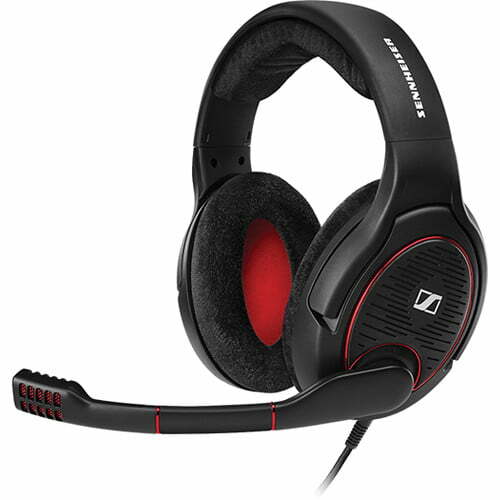 The pro microphone on the Sennheiser G4ME ONE gaming headset is in a class of its own. It provides high-end noise cancellation, so you can chat to fellow players with crystal clarity. With volume controls integrated onto the right ear cup, your reaction time is cut down as you won’t have to spend time searching the cable for the controls. The Sennheiser G4ME ONE also features a convenient microphone mute function too. Simply lift the boom arm and you’re off the air. G4ME ONE has exchangeable cables allowing compatibility with multiple platforms such as PC, Mac, consoles, mobiles and tablets that feature a 3.5mm jack input. Get ready to experience the full immersive sounds whether you’re gun-running on a tropical island, communicating with your team when to initiate or enjoying The Sound Games Are Made Of.